I do Childrens Party Magic for all ages from 4 year olds to 88 year olds. The magic plays to both the Kids and the adults. It is fun and entertaining to all. Also I include Balloon figures that are really cool. In addition I do table to table magic/cocktail strolling magic at Wedding receptions, special events, etc. Depending on the gig, the common thread through all the shows is that everyone will have fun, be amazed, and be entertained. What's great about magic as an artistic and entertainment medium is that it makes connections between people. It's a great conversation starter with people that don't know eachother as well as people who do. 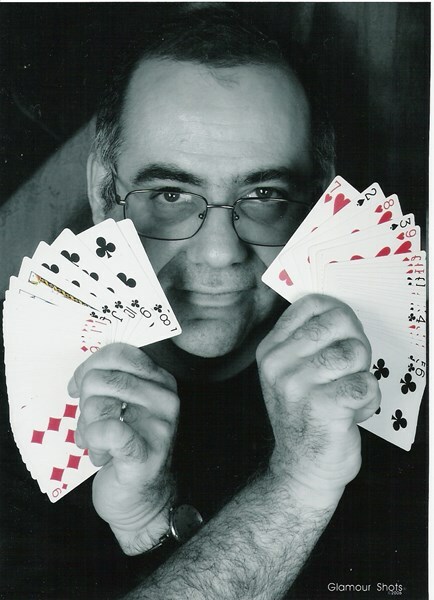 Please note Magic of David Moneypenny will also travel to Manahawkin, Waretown, Forked River, West Creek, Beach Haven, Lanoka Harbor, Bayville, Beachwood, Ocean Gate, Pine Beach, Tuckerton, Island Heights, New Lisbon, Seaside Park, Toms River, Whiting, Birmingham, Chatsworth, Seaside Heights, Hainesport, Lavallette, Lakehurst, Juliustown, Brick Town, Normandy Beach, Port Republic, Mantoloking, Browns Mills, Lakewood, Rancocas.